I always knew that I wanted to carry out my elective placement in Africa, but organising it and deciding where about in Africa was an issue. As soon as I found out about work the world this seemed perfect for me. If it wasn't for work the world I'm not sure I would have been able to carry out this placement. Also as I was going alone work the world would be perfect for me, as it allowed me to meet lots of new people and make some great friends. There are many airlines that now fly to Ghana and as I was concerned about flying alone I booked with British Airways (who fly direct). However, about two weeks before I was due to leave my flight was cancelled due to a strike. I then had to re-book with Virgin Atlantic, an airline I would recommend as they fly direct from London to Accra and are fantastic! I arrived in Accra, Ghana at 4am in the morning and the first thing that hit me was the overwhelming heat. The airport is straightforward, just follow the crowd and you get where you need to be to pass through immigration, have everything ready to speed up the process. I was met by the lovely smiling Programme Representative who welcomes you with a massive hug and immediately makes you feel very welcome. I was then taken to a hotel in Accra where I stayed until more students arrived that afternoon. The next day we left for the 4 hour journey to the Work the World house in Takoradi. The house has everything you need and very soon you will be calling it home. The house is also a nice environment for sharing experiences with other students after a day at the hospital. I started placement on the Monday where you get an orientation of the hospital and meet the chief nurse, who is lovely. Each student is asked a few questions about your general health to find out if you are well. We got an orientation around the hospital where you are introduced to most of the staff in the wards throughout the hospital all of whom say 'Akwabaa' meaning welcome, a word you become very familiar with by the end of this orientation. The conditions in the hospital are worlds apart from that in the UK and this is initially and continually very shocking however you just have to accept that this is the way things are in Ghana and there is nothing you can do or say that will change this. From my placement I found that if you ask questions and show interest you will be allowed to do more while on the wards, and get much more from your experience. I spent my time in Female Surgical (3 weeks), Accident and Emergency (1 week), and the Village Experience (1 week). I feel that splitting the placement this way was very useful as it allows you to get the most out of your experience. 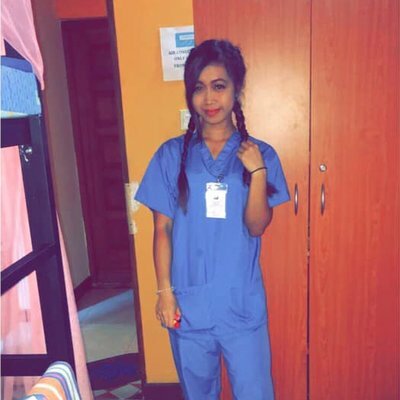 A useful tip for nursing students is to make friends with the Ghanaian student nurses as they run the ward and are fantastic at letting you get involved in patient care. The staff nurses and your mentor are not as friendly as the nurses in the UK and normally spend their day sitting at the nurses' station giving orders. The mannerism in Ghana is very different from the UK and do not be offended by this. Also the doctors are very good at teaching and it is important to spend time with them as they are the main people that facilitate your learning and teach you about the conditions seen in Ghana. There are a variety of different conditions seen in Ghana that we do not see in the UK and particularly in the surgical ward the severity of what you encounter, will never be seen in the UK as conditions will never be allowed to get to this stage before presentation, particularly diabetic foot. If you are squeamish be prepared for what is revealed when bandages are removed!!! I would suggest taking alcohol gel as there is none and sometimes there will be no water supply so washing hands is not possible. There are no aprons, apart from the ones that are washed and reused, as the student nurses all have material ones attached to their uniform, so especially if you are in a surgical ward aprons may come in useful. I would also suggest scissors as there is only about 1 pair per ward and they are blunt and not always available so they really appreciate any equipment you have with you. This was by far the best part of my placement and for anyone thinking of going to Ghana I would recommend doing the village experience. I went to a tiny village called Fasin and lived with a family consisting of 8 children, their father and his 3 wives (yes 3, who all lived together in a very small house!). While I was in the village I worked with the nurses in the clinic. This was amazing, where I was lucky enough to see and help with the birth of 4 babies. I was involved straight away in the village clinic. The clinic is nurse led so the nurses do all the diagnosing and prescribing so be prepared for this. You have a massive opportunity in the village to really see the effects of very little resources and you see first-hand how the people in Ghana actually live. 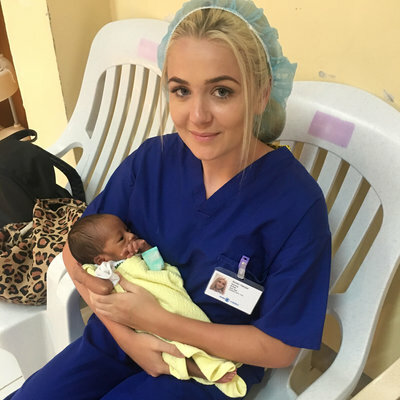 I had the opportunity to do the outreach clinic in a nearby village where I was told to be at the clinic for 6am, however an hour later the nurses eventually turned up - important to add they were NOT late that is just when they arrive. I had to get on the back of a motor bike and was driven to the next village to vaccinate and weigh babies, a fantastic experience and definitely worth getting up early for. Village life begins when sun rises around 5am and then continues non-stop until about 7pm when the sun has set. You get a fantastic opportunity to experience first-hand what village life is like by having a tour of the village and being able to get involved in whatever you wish. While I was there I visited the alcohol distillery, oil refinery, had a tour of the village and got to meet a large amount of the locals. 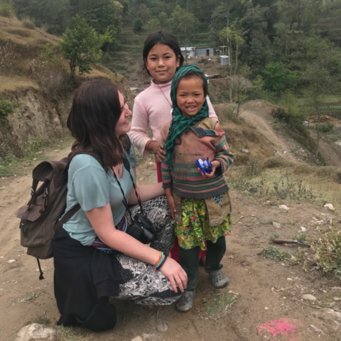 The children in the village were fascinated by my white skin and they were all running after me just so they could touch my arm. They are really good fun and any toys you can get your hands on are very much appreciated no matter how small it may be. I had tennis rackets and balls and these were played with for the full week. You don't get much time to yourself in the village but it is worth it. While I was in Ghana for 5 weeks I visited a number of different places: Beyin and Nzulezo Stilt Village, Green Turtle Lodge, Kakum National Park, Cape Coast, Kumasi and Lake Bosumtwi all of which I would recommend. Make sure you have a guide book with you to see where you can stay and book in advance before they are all full. There is also a book in the house that tells you where other students have visited where they stayed and any tips they had, and each group normally updates it to give more recent advice. The transport in Ghana is not reliable and you learn to become very patient but once you understand this the transport is really easy to use and is very cheap. It is important to visit places you want to and there will definitely be other students that also want to go there too. Make the most of this free time to see some of the country and also to relax on the lovely beach resorts! I was very jealous of those who had head torches with them so I would definitely recommend taking one of these for travelling and for the house so not to disturb others. Some of the things on the kit list such as penknife are not necessary, or were not for me. Taking two bath towels is useful as they take a long time to dry in the humidity and need washed regularly. The Bradt Guide book is very useful and make sure you take it with you when you go travelling. Any donations for the hospital are greatly appreciated as are things for the children. Learning the local language is important they all love when you can speak even just a few words but you will get Fante lessons once a week (provided free by Work the World), so don't panic! Also don't worry about trying to get Ghanaian money before you go as Prince will give you an orientation of the local town where you have the chance to change your money over, it is very easy to do. I could continually tell you all about my experience but the only way you can really understand is by going and seeing it for yourself. It is certainly an experience I will never forget for both the hospital and village experience and of course the travelling.